The cannabis market is buzzing right now. According to Cowen & Co’s Vivien Azer — aka the first pot analyst — U.S. marijuana sales are set to reach about $80 billion by 2030. Currently, U.S. legal and illicit sales total at least $50 billion. That’s on top of an estimated 12 billion Canadian dollars in revenue by 2025, for both recreational and medical use, and $31 billion by 2025 in the 43 countries that have legalized medical cannabis or are likely to do so. In short, cannabis stocks represent a very compelling investing opportunity. 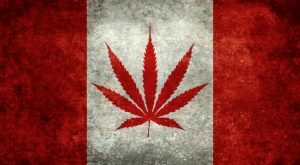 Source: ShutterstockAphria (NYSE:APHA) sells medical marijuana direct to registered patients across Canada. It was the first Canadian LP to exclusively use greenhouses and is still one of the lowest-cost producers in the Canadian industry. In the last three years, shares have rocketed by over 700% to $9.32. So despite the extreme gains, this remains a fairly cheap cannabis option. And now Aphria is set to soar higher. Year-to-date, APHA stock has already surged over 60% as the company turns its back on a disastrous 2018. At the end of last year, Aphria was embroiled in a sticky legal situation, which featured a hostile takeover attempt and the exit of its CEO. Most worryingly, a short-seller alleged that insiders profited from acquiring international businesses at highly inflated prices. However, a special board committee has now found that the price paid was acceptable and that the assets are progressing according to plan. As a result, top-rated Clarus analyst Noel Atkinson (Track Record & Ratings) has reiterated his buy rating on APHA. That’s with a new price target of $22.75, up from $19.25 previously — suggesting upside potential of over 100%. Now Aphria needs to get its mojo back by refocusing on key operational items. This includes Health Canada cultivation approvals for Leamington Part IV and the Aphria Diamond facility, EU GMP status for export, and the launch of softgels. Plus the company’s new CEO has extensive executive experience guiding multi-billion-dollar CPG companies. “Aphria’s list of near-term operational milestones is significant, and successful execution in a timely fashion could transform the Company both in terms of financial results and investor sentiment. If management can execute, there is the potential for a very substantial re-rating of the stock price from current levels” Atkinson tells investors. Overall the stock earns a ‘Strong Buy’ consensus from the Street. Out of 5 analysts covering the stock, 4 have published bullish ratings. Want to learn more about Aphria Inc? Get the free APHA Stock Research Report. 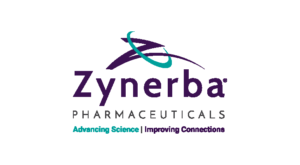 Source: Zynerba PharmaceuticalsIf you haven’t heard of Zynerba Pharmaceuticals (NASDAQ:ZYNE) before, listen up. This promising biotech is currently running clinical trials for a groundbreaking cannabinoid (CBD) gel. Yes that’s right, gel. This is the first and only patented permeation-enhanced CBD gel for delivery through the skin and into the circulatory system. According to ZYNE, the gel delivers drugs without using the digestive process. In doing so, it minimizes psychoactive effects, limits drug-drug interaction, and avoids digestion of the drug by the liver. 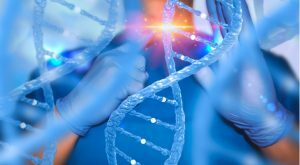 Zynerba wants to use this to help treat rare neuropsychiatric conditions like Fragile X syndrome and autism spectrum disorder. As far as investing is concerned, the upside potential is jaw dropping. Five-star HC Wainwright analyst Oren Livnat (Track Record & Ratings) reiterated his buy rating on ZYNE with a $23 price target on March 18- indicating 324% upside potential lies ahead. Livnat noted, “We reiterate our Buy, rating and see the current $105M market cap ($27M EV) leaving remarkable upside potential on positive data; as our $23 price target still reflects only a 35% probability of success in FXS.” So keep an eye out for pivotal data from ZYNE’s lead FXS program, due by 4Q19. “We remain optimistic for positive data” adds the analyst. Only three Wall Street analysts are covering ZYNE stock right now. But all three are a ‘buy’. With shares trading at just $5.42, their $20 average price target suggests shares have huge upside potential of over 250%. Get the ZYNE Stock Research Report. Source: Shutterstock Tilray Inc (NASDAQ:TLRY) is one of the largest producers of medical cannabis in the world. 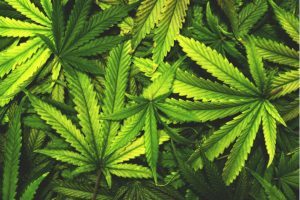 The company is set to be a major player in the evolving cannabis space, with supply agreements for no less than 8 Canadian provinces for adult use, and medical products currently available in 12 countries worldwide. In just one-year prices have exploded by 192%– leading to accusations that the stock is ‘ridiculously expensive’. But I disagree, and so does five-star Cowen & Co analyst Vivien Azer (Track Record & Ratings). She is one of the best consumer goods analysts around and has just reiterated a buy rating on the stock with a $150 price target. From current levels that means we are talking about a further 129% upside. In other words, share prices can more than double. So what will push prices higher? Azer is bullish on Tilray’s new $419 million CAD acquisition, Manitoba Harvest. By snapping up the world’s largest hemp food company, Tilray can ramp up its position in the fast-moving U.S. Cannabidiol market. According to Azer, this should help Tilray stabilize its top line in the face of supply constraints for Canadian recreational weed use. She raised her sales estimate for the current fiscal year to $179.4 million from $119.5 million, while boosting her fiscal 2020 revenue forecast as well. “We continue to believe that TLRY can reach CPG-like margins of ~30% longer-term” the analyst concludes. Get the TLRY Stock Research Report. Source: ShutterstockFrom one of the world’s largest cannabis companies to one of the smallest. As far as cannabis stocks go, Cara Therapeutics (NASDAQ:CARA) continues to trade relatively under-the-radar. This clinical-stage biotech is busy developing a novel kappa opioid receptor agonist to change the way pain is managed. Its lead drug candidate Korsuva has so far shown promising pain relief in clinical trials. Excitingly, this is without many of the traditional side effects that you see with mu opioids (morphine, oxycodone and hydrocodone) and NSAIDs (ibuprofen). That includes abuse liability. On top of this the company is developing a synthetic cannabinoid drug as a novel therapeutic approach for neuropathic pain. “We believe that Cara is positioned to experience a transformational 2019, with the first few waves of major value inflection points that will bring it closer to a commercial stage company” cheers top Cantor Fitzgerald analyst Charles Duncan (Track Record & Ratings). He has just reiterated his CARA buy rating with a $27 price target. Most notably, the company will reveal critical phase 3 data for chronic kidney disease associated pruritus in 2Q19. With strong results from previous trials, analysts are optimistic that the data will meet its desired targets. And a partnership with Fresenius (worldwide hemodialysis provider) provides further upside potential post-approval. “We believe that IV KORSUVA will prove to be a commercially de-risked asset should it get approved in the U.S. and EU because of the company’s agreement with Vifor Fresenius Medical Care Renal Pharma,” states Duncan. Indeed, six out of seven analysts are bullish on Cara Therapeutics right now. That gives the stock its ‘Strong Buy’ Street consensus. Shares are currently trading up 50% year-to-date. Get the CARA Stock Research Report. 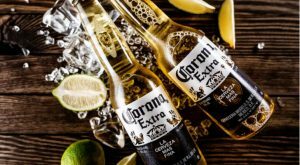 Source: ShutterstockAs we all know Constellation Brands (NYSE:STZ) is a drinks giant, with Corona one of the most popular beer brands under its umbrella. 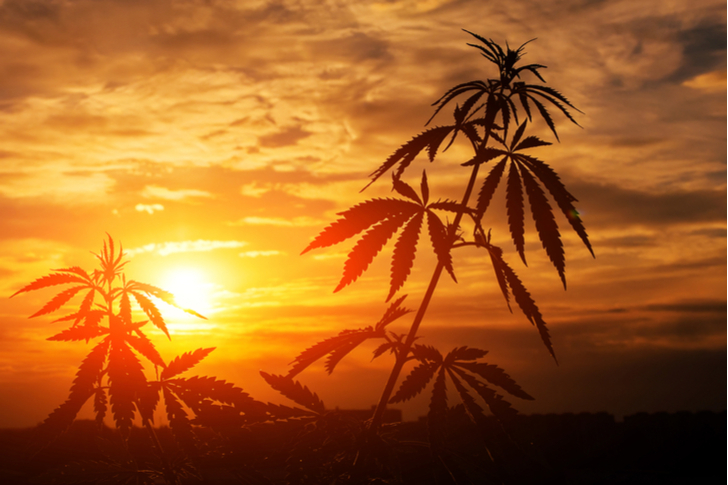 But thanks to its savvy Canopy Growth (NYSE:CGC) investment, STZ also provides unique exposure to the burgeoning cannabis market. Following a $4 billion investment, STZ now owns a 38% stake in Canopy, one of the world’s largest cannabis companies. Canopy boasts a leading position in both the recreational and medical markets, and is now also aggressively expanding into U.S. hemp production. “We continue to see compelling upside in STZ as we est. the base biz’s implied valuation has declined to ~12.5x NTM EV/EBITDA vs. its ~15.5x five-yr avg. and ~13.5x for staples, despite STZ’s much stronger financial profile” explains Jefferies analyst Kevin Grundy (Track Record & Ratings). He calls Constellation his ‘top pick for 2019’. As well as a compelling valuation and weed exposure via Canopy, STZ also boasts continuing strong beer growth and achievable Street margin estimates. With this in mind, Grundy reiterates his buy rating with a $258 price target. From current levels, this means we are looking at substantial upside potential of around 45%. Interestingly, Grundy adds that even without Canopy he would ascribe STZ a $233 price target. That still indicates 33% upside potential lies ahead. Basically STZ’s investment in Canopy is a free call option in the stock at these current levels. Get the STZ Stock Research Report. 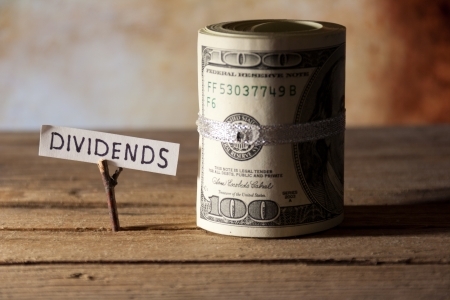 Get your hands on my most comprehensive, step-by-step dividend plan yet. 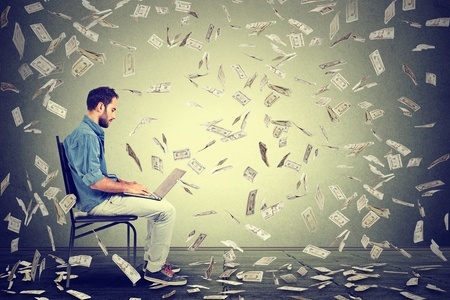 In just a few minutes, you will have a 36-month road map that could generate $4,804 (or more!) per month for life. It's the perfect supplement to Social Security and works even if the stock market tanks. Over 6,500 retirement investors have already followed the recommendations I've laid out. Click here for complete details to start your plan today.